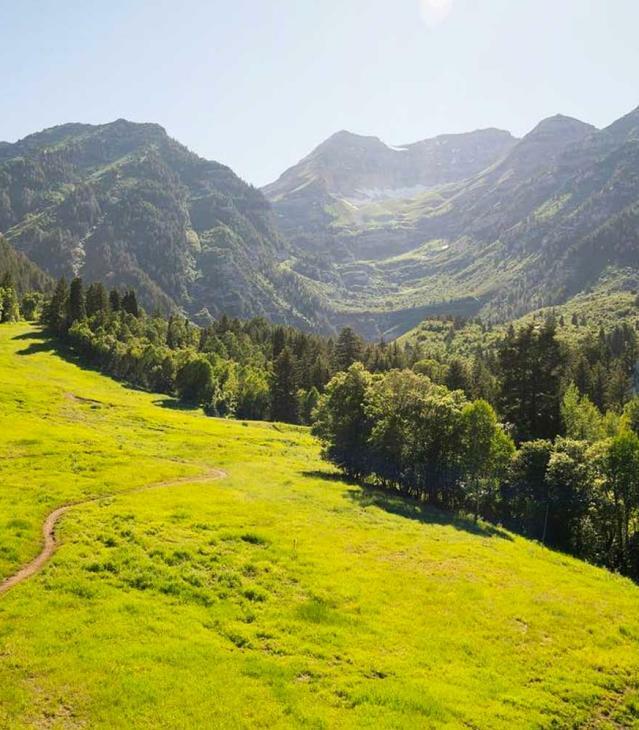 Little known fact: Utah Valley is an amazing place for Foodies (or those with a particular interest in food, which is most of us, right?). We have so many local and unique restaurants, food from an array of different cultures, and even food that has received national attention and won awards. Check out our list of non-chain restaurants that originated in Utah Valley! Only the best made the list, meaning only those restaurants with a 4-5 star rating on Google reviews and Yelp! Somehow Utah Valley has become the recipient of a variety of authentic and amazing Asian restaurants! We have delicious Thai food, Chinese food, Japanese food (including sushi everywhere), Vietnamese food, Indian food, Korean food....and pretty much everything in between! 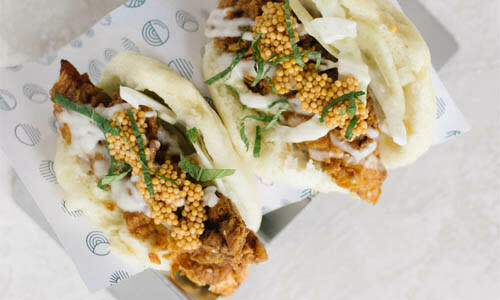 This casual Asian restaurant serves modern food with a flair! Get steamed pork or chicken buns, delicious and filling poke bowls, or Hong Kong-style waffles and ice cream! This is a classic ramen spot in Utah Valley! Order your hearty bowl of ramen with a side of takoyaki (fried octopus), chicken karrage, or Japanese style fries. Eating here will transport you straight to the magical southeast Asian land of Thailand, with all types of curry dishes, a variety of stir fry, and some delicious mango sticky rice. This Japanese/Thai food restaurant has all the classics, from sushi to pho! You can&apos;t go wrong by ordering their bento box for a variety of options! With a chic atmosphere and intimate lighting, this sushi restaurant is where to take your date on a Saturday night. The sushi rolls are beautiful, neat, and incredibly tasty. This place is constantly serving up sizzling dishes from all over China! Order all the classics--beef and broccoli, kung pao chicken, and an egg roll! This Chinese restaurant is clean, modern, and the food is light--not greasy! They even have gluten-free dishes and lots of healthy dishes with veggies! Craving your favorite classic Thai dishes? Or looking for something new and exciting? Then try Thai House Cuisine for your fill of curry and pad Thai dishes! The hearty menu at Pho No. 1 will please any Vietnamese food lover. Of course, their specialty is pho--a Vietnamese soup with so many tasty varieties! This restaurant is a local favorite, with pho options including beef meatballs and ribeye, and bahn mi with rotisserie chicken and pork! Wash it all down with some Thai tea! 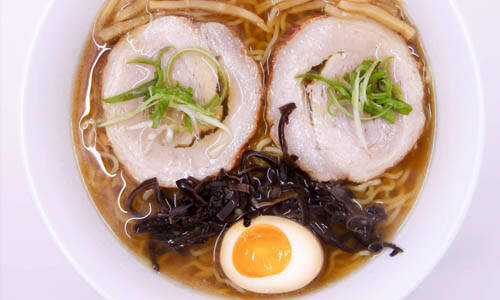 As the name would imply, this restaurant serves ramen, usually in the design of a face (pictured above)--which makes eating it all the more enjoyable! This place is amazing and is a delightful fusion of Hawaiian and Korean food--and sushi, of course! It really is yummy! Named by the Daily Herald as the best place to get Indian Food in Utah Valley, this restaurant is where to go when a curry craving hits! The name says it all! Say yes to getting sushi here, and don&apos;t just stop at one roll--it&apos;s "all you can eat" sushi here! This restaurant is casual, but elegant with a cozy atmosphere, serving a great variety of traditional, but also inventive sushi and Japanese food. The first Thai restaurant in Utah County is still going strong as one of the best places to get Thai food in the valley! Order the pad Thai! This family-owned and run restaurant makes sushi with style. 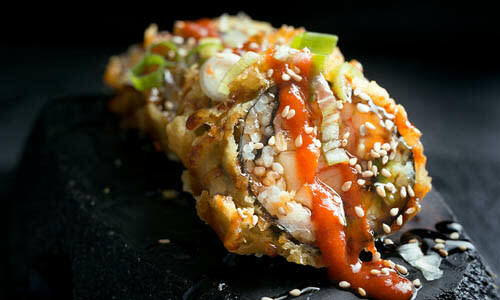 Each roll is beautiful, elegant, and, most importantly, delicious! 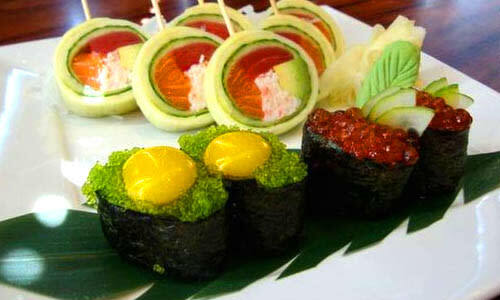 Get your chopsticks ready because Oishii Sushi is ready to serve you some quality sushi! You really can&apos;t go wrong with any of their hand-crafted rolls! A surprising favorite at Savory Thai are their crepes, such as custard mango and nutella banana! 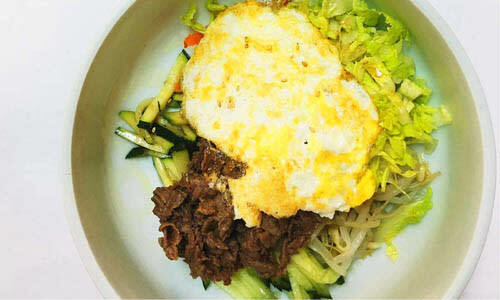 For an entree, try one of their curry dishes or noodle dishes. This Indian restaurant boasts to be the best Indian food in Utah Valley--and with good reason. The delicious cuisine has even been described as "culinary perfection!" This new Japanese restaurant in Downtown Provo is already budding as the most authentic Japanese restaurant in Utah Valley! The genuine service is unbeatable! This Taiwanese restaurant has a lot of highlights, including their star dishes, such as shrimp fried rice, crispy potstickers, and amazing bubble tea! Pho is a Vietnamese soup, which gives a lot of focus to its broth. 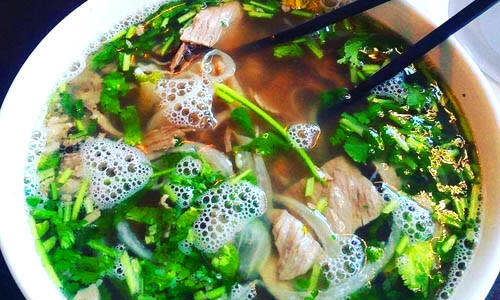 Pho Plus specializes in some of the best pho in Utah Valley! Dumplings are the quintessential Asian food and every culture has their own version. The ones here are juicy and big, with the perfect proportion of wrapper to filling! This place will transport you to Japan with its cross-legged seating. 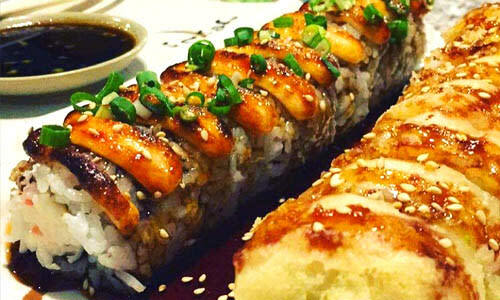 Order the tender and delicious teriyaki chicken and exciting dragon roll sushi! 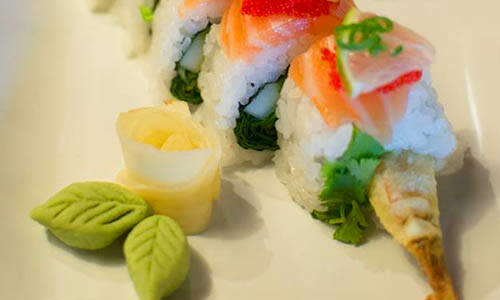 This is a great choice for sushi in Utah Valley! They have a sushi bar, a nice dining area, and outdoor seating, where you can try their gorgeous sushi! Thai food is more than just peanuts and veggies. Come to Spicy Thai to experience a variety of Thai dishes that will leave a good taste in your mouth! This Thai restaurant prides itself on its authenticity, especially since the chefs hail from Thailand and want to share their home dishes with Utah Valley! 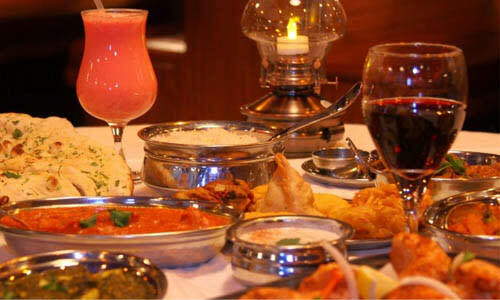 Dine like a sultan at the locally owned and operated India Palace! Dip their handmade naan in their many saucy dishes and eat to your heart&apos;s content. Saigon Cafe is another mixture of cultures--this one is Chinese and Vietnamese! Noodles, rice, and a variety of meats will make any stomach happy here. Located in Downtown Provo, this perfect date night destination serves chicken satay, mango dishes, pad Thai, and a variety of Thai curries. They serve really good sushi, but even better--they serve really good sushi that can be delivered late at night when your sushi craving hits hard! When you&apos;re visiting the Shops at Riverwoods, this is a great option for dinner, with a classy atmosphere. End your meal with a chocolate-dipped fortune cookie! This restaurant, named after the capital of Thailand, will make you glad you ate there--especially the peanut sauce, Thai salads, and yellow curry! Get all your favorite Korean treats in one box (or hot stone bowl)! Treat yourself to large portions of bulgogi beef or spicy pork, with potstickers on the side. Just as their name implies, Fusion Asian is a combination of cultural cuisines, including favorites from China, Japan, and Korea. Asahi is one of the best sushi and Japanese food restaurants in Orem! A lot of care is put into each dish, ensuring that it not only tastes delicious, but looks amazing, too! 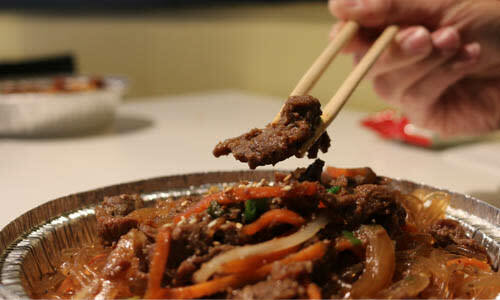 Order all your favorite Korean food here, including bulgogi, kalbi, and kimchi! Then enjoy watching your meal being made right at your table! This is Vineyard&apos;s best Chinese restaurant, making locals happy since it opened! The best part is they will deliver their bacon fried rice right to your door. You will have such a unique and delightful experience as you take part in Korean BBQ, with cook-it-yourself, all-you-can-eat meats and side dishes! This restaurant will give you the best of both worlds, as it is part American food and part Chinese food! Be basic--order the sesame chicken. You&apos;ll be glad you did! You&apos;ll be feeling lucky when you visit one of the only Chinese buffets in Utah Valley because it&apos;s very affordable and the food is top notch! Order a family-style meal with various plates of delicious food, including honey walnut shrimp, orange chicken, beef and broccoli, and other traditional Chinese favorites! 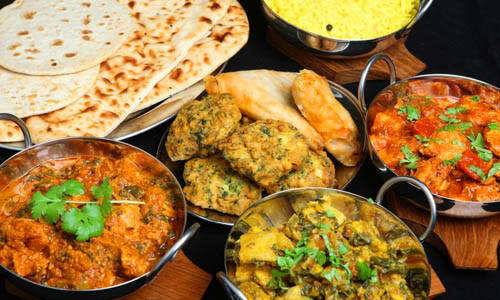 Indian food is best when shared with a group of people! That&apos;s why you should have this restaurant cater your next event or celebrate in their banquet room. The classic amazing Hawaiian plates can be found here! Get full on rice, mac salad, kalua pork, chicken, beef short ribs, and all your other favorites! The atmosphere and the service here are unbeatable--making you feel like you are in Hawaii! 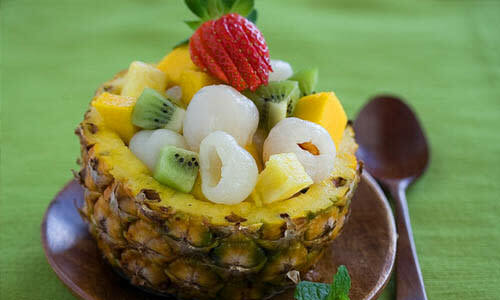 The food completes the experience with sweet dishes you&apos;ll love. This new restaurant is the ONLY place to find African food in Utah Valley! Choose your heat level and then choose which way you want to enjoy their delicious chicken! Looking for more great food in Utah Valley? Read our other foodie blogs about American food or Latin American and European food!